Many halwas are made as an evening snack which leads to a 'glass of milk for dinner' or no dinner at all . 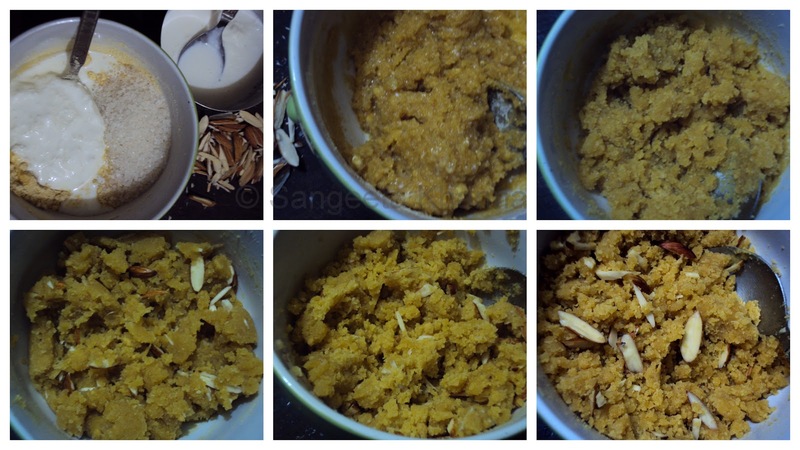 Halwa is rich as it has quite a lot of ghee and if someone want a whole bowlful of it , i make a whole bowl full of it in the microwave....just one serving at a time. lovely and mouth watering besan halwa with perfect step by step demo. Oh Lord, a quick & easy halwa. Yummy halwa.......good to know that it can be done in a Microwave!! Looks so great and so quick too.